Walter Wolf's short-lived eponymous Formula 1 team came close to overcoming the odds and taking title glory in its first year. Rene Fagnan sits down with the man behind a team that punched well above its weight. Walter Wolf ran his own, personally-financed Formula 1 team in the late 1970s, Walter Wolf Racing, which came very close to winning the world championship in its maiden season in F1. Born in Graz in 1939 from an Austrian father and a Slovenian mother, Wolf emigrated to Canada in 1958 and became a self-made entrepreneur, making his fortune in the 1970s as an oil-drilling equipment supplier. Fascinated by motorsport and fast cars, Wolf – now at the head of a business empire - wanted to race at the pinnacle of motor racing, in Formula 1. "I've always been interested in cars," Wolf tells Motorsport.com. "I was involved with Lamborghini. I wanted to go racing with the Italian company. 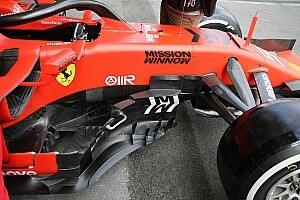 "Gianpaolo Dallara was the technical director of Lamborghini. He was also very instrumental for me to go in Formula 1. I wanted to get Lamborghini into F1. That was my original plan. "But they striked against me. They didn't want to go racing after all. 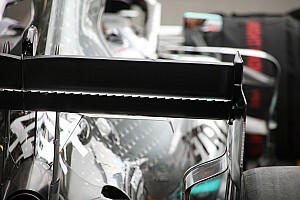 So I bought the assets from Frank Williams and started Walter Wolf Racing F1 Team." Frank Williams and Walter Wolf ran Cosworth-powered, modified Hesketh 308Cs, rebadged Wolf-Williams FW05s at the time. At the end of a very disappointing 1976 season, Wolf removed Williams from his managing position. "I created my own company, Walter Wolf Engineering, and we opened a racing team," he adds. 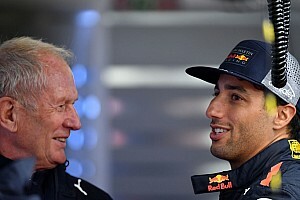 "Dallara was a big help and he was also working with Harvey Postlethwaite, Patrick Head and Adrian Newey on the development of the Wolf car that was so successful. "We made history because we won the first grand prix that we entered - a private team with no sponsors!" Wolf managed to convince South African Jody Scheckter to drive for his new team in 1977. "When I contacted Peter Warr, Harvey Postlethwaite and those guys, they said they'd come to me under the conditions that I would hire one of the four or five drivers they had on their list," Wolf says. "The first one was Niki Lauda, the second one was Jody Scheckter, and there was also Mario Andretti and Ronnie Peterson. "When I asked Niki, he had a contract with Ferrari and he was not confident that we would build a winning car. So I went to Jody and made him an offer, which was lucrative financially and he accepted to drive for me." Wolf continues: "Don't forget: if you want to win, you have to take people who have already won. Peter Warr, the director of the team, won a lot of races when he worked for Colin Chapman at Lotus. "Warr was the manager of the Lotus team when Jochen Rindt and Emerson Fittipaldi became world champions." In comparison to Ferrari, the Wolf F1 team was a pretty small, closely-knit operation. "I had 80 people, and the team was based in Reading, Great Britain. But it was a Canadian team. I had the Canadian flag on the car," recalls Wolf. "I was very pleased because I was the only private man who financed the whole thing and who won the Monaco Grand Prix too. "We won three races in 1977: Argentina, the first race we entered, Monaco and Canada. We took fourth place in the constructors' championship with just one car, and finished second in the drivers' championship with Jody. "That was never done with a new team, and I doubt it will be done again." Around the same time, with the assistance of Dallara, the team developed the WD1 sports car for Can-Am racing. Chris Amon, and then a young Canadian named Gilles Villeneuve piloted the car that was a handful to drive, to say the least. "In those days, I wanted Gilles to drive my F1 car," says Wolf. "I had a contract [with him]. Enzo Ferrari called me, and asked me if he could get Gilles. 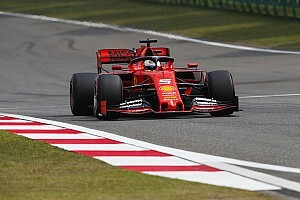 I called Gaston Parent, who was Gilles' manager at the time, and he went to Ferrari, and he got the contract with Ferrari. "The biggest decal I had on the car was the Canadian flag. That's why I wanted this car to be driven by Gilles. If he has had as much brain as he had heart, he would have clinched titles like [Ayrton] Senna. "For me, Gilles had the same talent as Senna. Gilles was too passionate and too aggressive. If you remember his battle against [Rene] Arnoux in Dijon, as they were banging wheels a few times, Gilles wanted to win so badly. He thought he was immortal, that he couldn't die." After Scheckter left Wolf to join Ferrari at the end of 1978, Wolf put 1976 world champion James Hunt behind the wheel of the Wolf WR7 car. "That was a mistake!" admits Wolf. "We were a democratic team, and Peter [Warr] and Harvey [Postlethwaite] had worked with James Hunt at Hesketh. They wanted James Hunt. He was a former world champion. "So we took Hunt and that was a big mistake. Hunt left the team after Monaco, and got replaced by Keke Rosberg. But they were not in the league of Gilles [Villeneuve]. There was only one Gilles". Wolf goes on: "Hunt felt that it was his fault that Ronnie Peterson died in Monza a year before. He was not the same anymore. He was a very good driver, but after Ronnie's accident, he lost his nerve." At the end of 1979, Walter Wolf had seen enough of Formula 1. 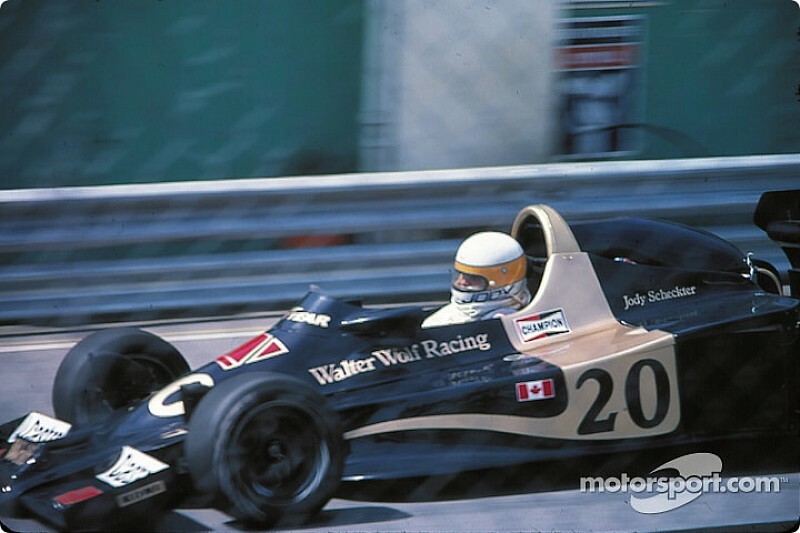 Fittipaldi Automotive bought the remains of Walter Wolf Racing, and that was the end of the road for the Canadian team. 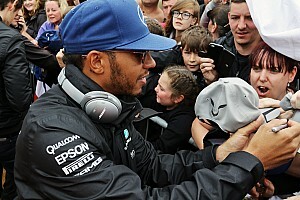 Hamilton: Late-season slump a "blessing in disguise"